In the past few months, there have been more warnings of a glut in the private housing market and the calls have become more strident. More recently, this warning has been blared out as one of several events that could lead to the perfect storm that the market is headed for. This is the worst-case scenario which could unfold as early as 2013 if all the events - more supply, falling demand and higher interest rates - occur together to trigger a market crash. Why 2013? Well, this is because an unprecedented number of housing units are expected to enter the market then. Official figures show that 32,359 units will be completed over 2013 and 2014. This is 85% more than the 17,501 units expected this year and next year. Meanwhile, demand from foreign buyers could fall as concerns about high housing prices and the influx of foreigners were magnified during the General Election and will be a catalyst for the review of immigration and housing policies. Foreign buyers have been a big boost to the local property market in recent years. More recently, by one industry estimate, they accounted for a high 16% of new housing sales in the first quarter of this year. Interest rates in Singapore are presently at record lows because lending rates here track United States monetary policy. That has allowed buyers to pay less than 1% on the first year of their mortgages. Most banking analysts, however, expect interest rates to begin rising later this year. Finally, while growth forecasts for Singapore over the next five years at 4 to 6% annually will underpin support from local buyers, a major unforeseen external crisis could still lead to a market crash. How realistic is this scenario? For one, there are limits to how quickly the construction sector can expand its capacity to meet all of the new building demand. Remember, we are also ramping up our public housing stock and building ahead of demand. So, although the numbers will still be high compared to before, the supply will be more spaced out and not as announced. The private residential leasing market also appears to be healthier than expected. Already, the number of leasing contracts for the first four months of this year is about 8% higher than the corresponding period last year. However, a word of caution here. Judging from the feedback I get from housing agents, I suspect more and more of the new tenants are locals and not expatriates. This shows that a growing number of locals are taking a position on the housing market cycle - they are renting for the time being, waiting to pick up units when prices correct. As for interest rates rising this year, when have we heard this line before? About a year ago, I suspect, or even earlier. In fact, rates have declined further since the first call. Yes, there is much stronger resistance from US law-makers to another round of quantitative easing but what happens if the US economy does not pick up in the second half of the year? Do we expect President Barack Obama who is seeking re-election in 2012 to sit back and do nothing? Personally, I would not bet a single dollar on it. More and more, the US Federal Reserve's experience is beginning to be like that of the Bank of Japan, which has engaged in roughly two decades of quantitative easing. It is beginning to look like US rates will stay unusually low for far longer than many investors expect. With the Fed, Bank of Japan and European Central Bank having rates at or near all-time lows, Asia, including Singapore, will be on the frontline of the struggle with cheap money and unprecedented liquidity. Even if a private housing glut were to occur in 2013 or earlier, there is little incentive for the majority of investors to sell off their properties so long as housing loan rates and holding costs remain low. And if there is little or minimal change to our private housing policies, I suspect we are more likely to see ghost towns in 2013 than experience a market crash. 1 comment to ''2013: Market crash or ghost towns?" with the 16 percent SSD, it will be unlikely to see investors to sell off properties in 2013 or 2014. Hence, the likely scenario will be buyers are expected to have strong holding powers. Singaporean has long known to be saver because of Government public education and messages of saving for retirement in the past. 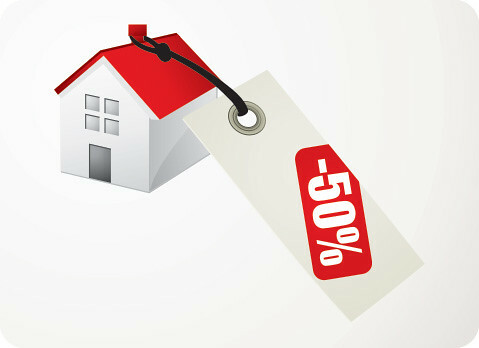 Even with the easing of rental, the likelihood of selling at lost will be remote. On the other hand, the Government cannot afford to "crash" the market as this will have a domino effect on the overall economy. The risk is just too high compared to higher property prices. What the Government could do is to let the market correct itself. By injecting more Land Sales would not solve the problem, it has to let all the measures to settle down to see the overall effect by Dec.